I thank Almighty God for giving me the ability to present this site to you. I would like to have a few words with you. 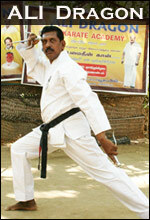 The name Eruvadi entered in to the internet in the first quarter of 1998. It was then a single page with some photos and some texts. Occasionally some changes were done to it, but nothing major. It was a part of my personal home page. (http://peer_mohd.tripod.com). In November 1998, I received a mail from Mr.S.I.Sulthan expressing his surprise and ecstatic by seeing Eruvadi on the internet. It was like a boost which was needed at that time. From that onwards things started getting better. 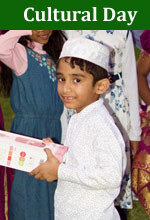 List of Eruvadians, children photos section, guest books etc.. were added to the site.
" vazharnthu-varum IT ugathil eruvadi-kku pugal seitha muthal manithar neengal enbathil mikka magilchi. thodarattum thangal nal muyarchi, "
During the year 2000 the site was attached with the url www.eruvadi.net. This was for about one year. In 2001 the name "nellaiEruvadi.com" was chosen and registered. Recently i came to know that we have one website for our great native place. I was supposed to do it. But you have done it. Now I feel the importance of being an eruvadian. Nice J O B. Thank you for hoisting our great eruvadi's flag in the world wide web. I hope my comment will glitter as a golden feather in the crown of our website. I am proud of you for being a eruvadian." It's heart whelming to see our native place on Internet..Kudos to u gentleman!!!! As for me,I could say that your work is a Herculean task motivated with an ebb of ur affinity with Eruvadi. This is not merely an appreciation but also a testimony portraying the splendorous task of a single man who has brought OUR Eruvadi to the global view. Your job should head long to a pinnacle where all country men should be aware of our place.May The Almighty be with you in all ur deeds. Br. 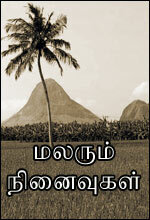 Mohammed Shafi from Abu Dhabi (UAE) contributed with the valuable "history of Eruvadi". And there were many friends and Eruvadi brothers who encouraged more with email and guest book entries. There were many suggestions from fellow Eruvadians. I tried my best to implement sensible suggestions improve the site. The result is infront of you. Today in the internet the name "Eruvadi" is wellknown. 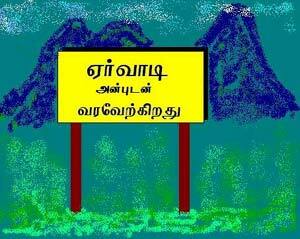 The world famous google directory have placed "Eruvadi" as a locality in Tamil Nadu, in 2001. Regional > Asia > India > Tamil Nadu > Localities. 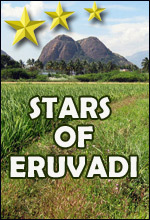 (So Eruvadi is in par with places like Chennai, Madurai etc.) (2001 Status. Now this service is not available in Google.) Even in 2015, when there are so many Eruvadi resources available in the internet, The search string "Eruvadi" in google puts the nellaiEruvadi.com site as the first result. The success of this site is not possible without your participation. Great effort is being taken to make this site as interactive as possible. Currently as a member you can contribute directly to the site through news, articles, events, discussion forum etc. I sincerely convey my thanks and regards to all those who encouraged me to achieve this. Dear Eruvadians, we have come a long way. But still a long way to go. We can achieve this only through your full hearted support. Let us keep nellaiEruvadi, our native place always close to our heart, no matter wherever we are. If you are in Eruvadi post the happenings in Eruvadi. Posting in Tamil is enabled. If you come across any vacancies please post it in the job section. This helps lots of people. If any page is not working please notify me. If you have any suggestions please mail it or send through the feedback form. Or atleast just visit this site once a day and read the "dua" at the bottom of the page. This site is for you. Be a part of it. Make the best of it.